Boat insurance covers many kinds of boats, so even if you're looking for specific coverage like personal watercraft insurance, jet boat insurance, sailboat insurance, fishing boat insurance, or house boat insurance a boat insurance policy is what you need. Personal watercraft insurance (watercraft insurance) policy provides boaters with specialized coverage designed for your boat or personal watercraft. Insurance options range from personal effects replacement to fuel spill coverage, which means you can relax on the water knowing you're protected. Your boat or personal watercraft may be too big or too expensive to be covered through a homeowners policy, which means you may need watercraft insurance to protect it. Some insurance companies limit where you can go with your watercraft and still be covered, or they charge you extra if you travel. 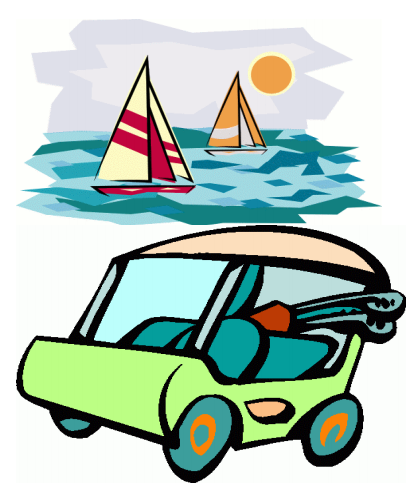 Boats and personal watercraft depreciate just like cars do. A homeowners policy will only pay you actual cash value for your boat or personal watercraft, which could make it difficult to replace if it's destroyed. Whether you use them off-road or on, proper insurance can help you protect your golf cart. Your homeowners policy might not cover you if you ride off your own property. That's why specialized golf cart insurance is especially important. Choose Progressive's golf cart insurance for your golf cart whether it's gas or electric and receive far-reaching coverage and specialized claims service. We provide coverage for virtually any noncommercial purpose and location. For a quote, please Click the "GET STARTED" button located on this page. Enter your information and the Vehicle's details and see your cost of the Insurance, if you need help, please contact us, and an Agent will be glad to assist you.